On the 10th of February, H BROTHERS Entertainment took to the official Girls Girls Daum Café to announce that Girls Girls’ maknae, main dancer, rapper, and vocalist MiSO had decided to leave the group. Girls Girls made their debut as a five-member group back in 2015 with the song “Deal.” They followed up with the release of their first single’s b-side ‘Girls Girls’ and their last single before their hiatus ‘Juicy Secret‘ in October 2016, after member Gyurang (who is about to make her solo debut as Budy) had decided to leave the group. MiSO made her solo debut not long after in April2017, with ‘KKPP‘. 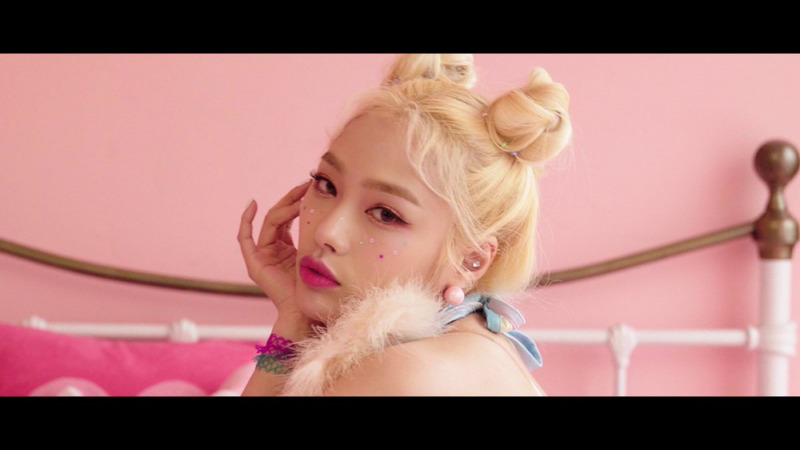 She followed up with the release of her second single ‘Pink Lady‘ in August of the same year and the collaboration song ‘Benjamin Button‘ with JiSU in January of 2018. After that, she started touring Europe and opened up a Makestar project in August for her upcoming comeback ‘ON N ON‘, which will be released this month. The group’s official line-up now consists of Bori, Rina, and Aryoung. Fans, however, are worried about the group’s status. Both Bori and Aryoung seem to have lost contact with the company and their fellow members after the group’s last performance at the end of 2017. Rina announced on her Instagram she would be debuting solo under H BROTHERS as trot singer NARINA sometime this year.